Are you looking for an easy chicken recipe? 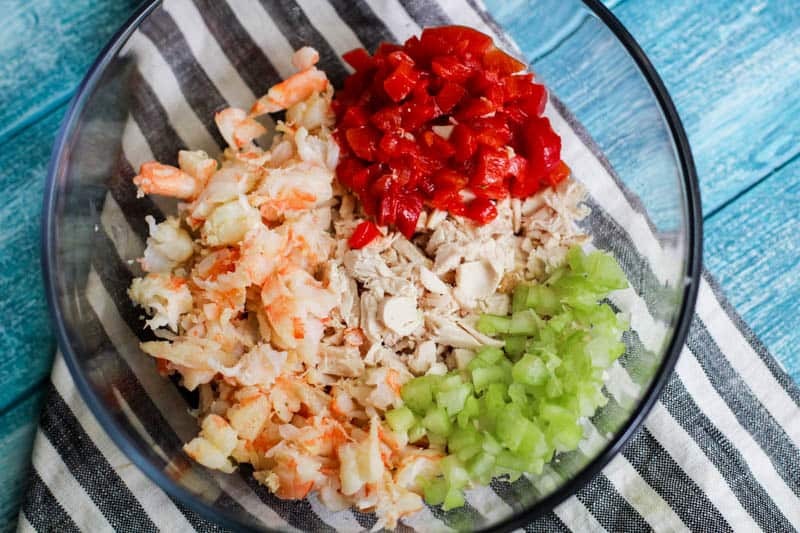 If so, you need this easy chicken salad recipe in your life. I have made all types of salad creations in my life but this is one healthy salad! 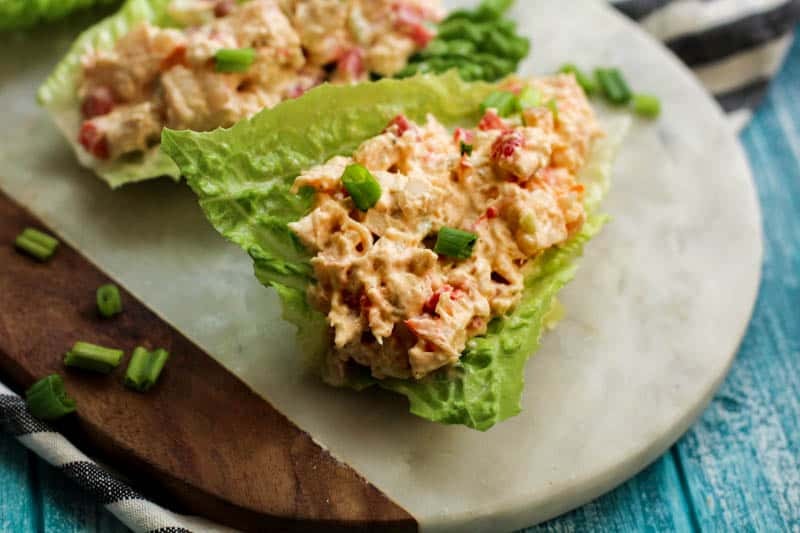 The Best Chicken Salad with Shrimp Recipe on Lettuce Boats is unlike anything you’ve had before. If you want a simple salad recipe or a healthy chicken salad recipe, this is the one for you. I like to make this homemade chicken salad during the week. We eat it for lunches when I don’t have a lot of time to cook during the week. I am also eating low carb, so I want to make my chicken salads low carb. I like to eat my chicken salad on lettuce boats because it just makes sense if you’re eating low carb. While I do enjoy homemade chicken salad on bread, it just doesn’t work well for my low carb to no carb lifestyle unless you use this cloud bread recipe. For everyone who wants to know how to make a chicken salad at home, this is the only recipe you will ever need! A basic chicken salad starts with a good chicken breast. Make sure you invest in quality ingredients! Adding quality shrimp and vegetables only takes this recipe to the next level! 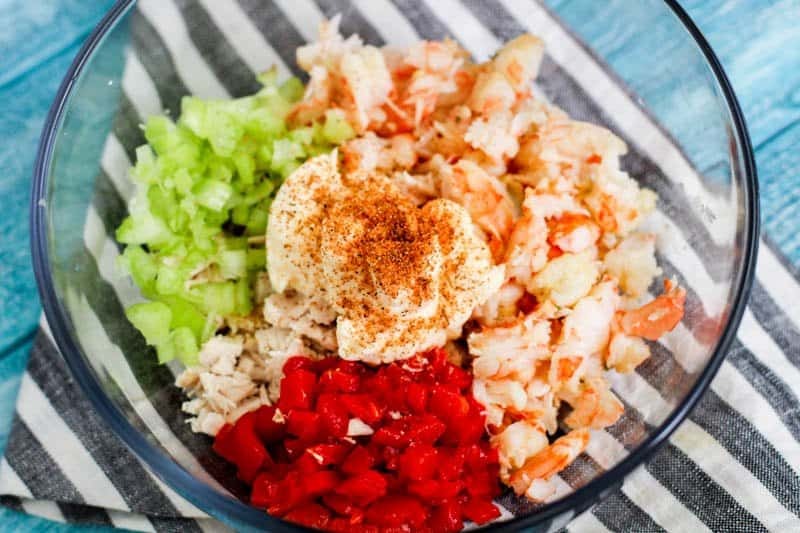 What’s your favorite way to eat chicken salad with shrimp? I’d love to hear all about it! 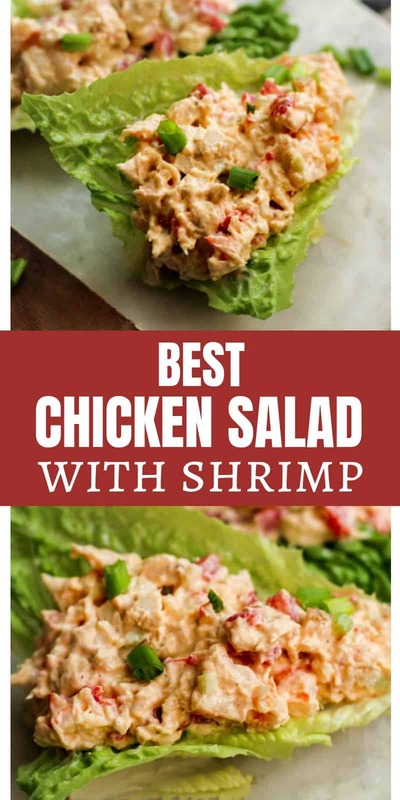 This is the best chicken salad with shrimp recipe on lettuce boats that you will ever try! It's perfect for the keto lifestyle and the flavor is amazing! In a medium bowl mix all ingredients, except for romaine lettuce and green onions. 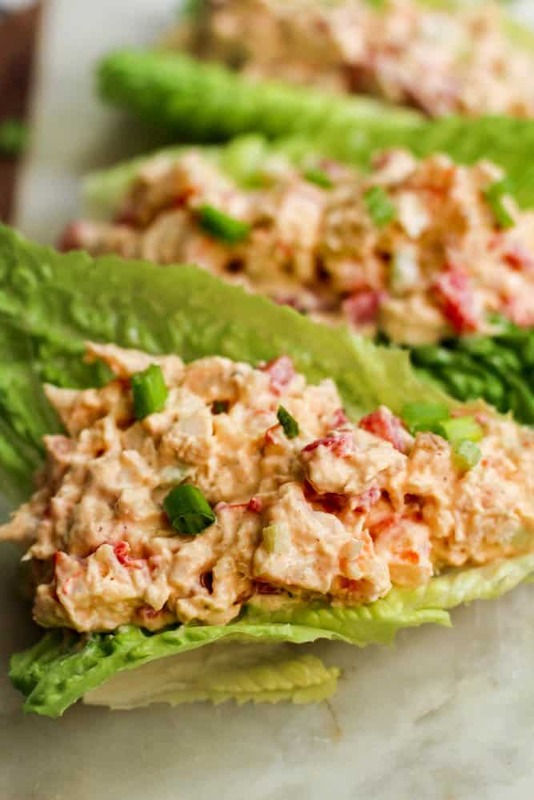 Spoon shrimp mixture over lettuce leaves, garnish with green onions and serve immediately.